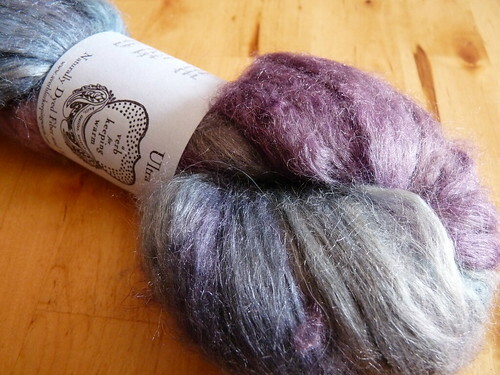 so what's funny is, seeing you spin all that gorgeous fleece is making me itchy to try a natural colored project! I need a break from all the color! Ha! Your project is fascinating and I am really enjoying the process. Thanks for sharing. I just love that color. It's really pretty for a grayish color. I can see how spinning the same color would get old, but that brown is beautiful! Though intergalactic space travel may be pleasing to the eye, your Brownies color will make a flattering hue to wear (especially on blustery autumn evenings). The natural color is beautiful. I'll admit I'm a bit color-phobic. I love what other people do with the dyed rovings but I gravitate to the (safe) natural colors. Good luck with on the Tour. 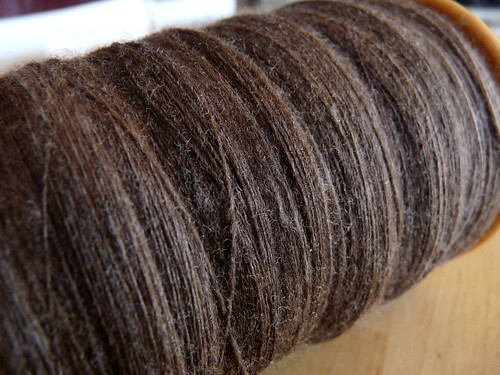 Wow...that cashmere/silk roving is beautiful! !